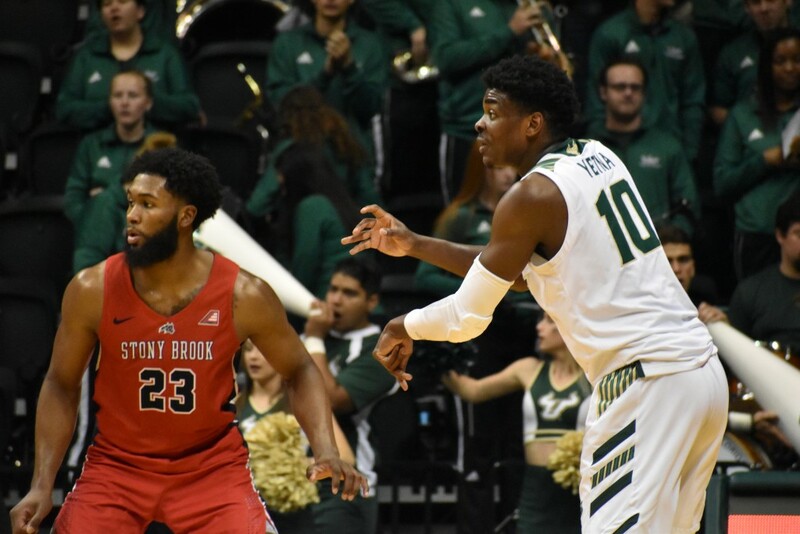 In USF’s first postseason game in seven years, it erased an 18-point halftime and what was as large as a 25-point deficit to defeat Stony Brook 82-79 in overtime at the Yuengling Center on Wednesday. Collins set a new career high with 31 points, leading all scorers. The tide started to turn toward the end of the first half. Stony Brook had just gone up by 25 with under two minutes to play before the break. USF ended the half on a 7-0 run, but things were looking pretty bleak for the Bulls. Then, USF left the court and went to its locker room. “I was walking through the tunnel at halftime and a fan said, ‘Hey, coach. That’s embarrassing,’” coach Brian Gregory said. “And you know what? He’s right. The Seawolves did not score again until the 14:20 mark of the second half. By that point, including the 7-0 run to end the first half, USF had gone on a 13-0 run to significantly cut into the lead. And then the run continued. The Bulls forced 12 Stony Brook turnovers in the second half, directly leading to 12 USF points. Alexis Yetna, who finished with 12th double-double of the season with 15 points and 12 rebounds, almost put up a double-double in the second half alone with nine points and eight rebounds. Michael Durr scored 13 points, including a jump shot with 6:24 left in the second half that tied the game up for the first time since 10:16 of the first half. 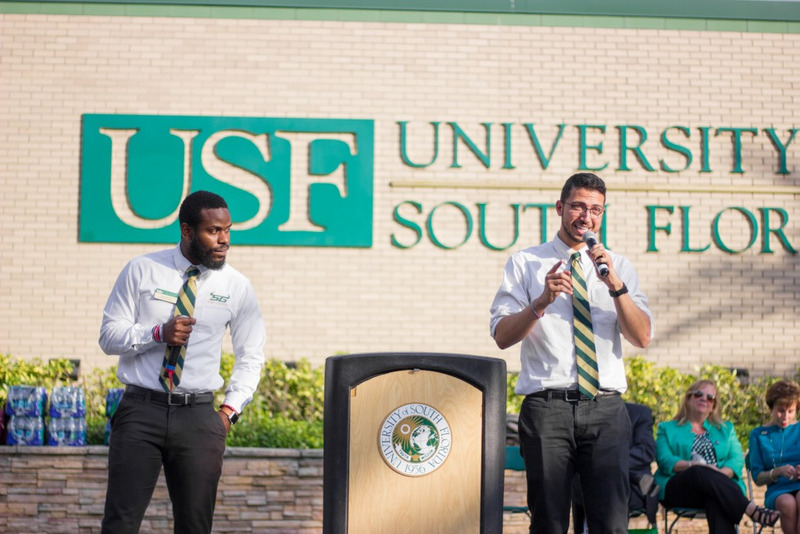 USF ultimately outscored the Seawolves 36-18 in the second half to force overtime. “If you’re gonna get it — it’s a heck of a way to get the 20th win [of the season] and the first win in the postseason,” Gregory said. After one of the greatest comebacks in program history, USF lives to see the second round of the CBI. The Bulls face Utah Valley on Monday at 7 p.m. at the Yuengling Center.